Karl Sims similarly employed Richard Dawkins Blind Watchmaker approach in his graphics software and movies, extending it in many exciting directions particularly around the area of structure mutation facilitated by a Lisp Style programming approach which included genetic cross dissolves. Karl showed his work extensively in papers and films at SIGGRAPH from the mid eighties to around 1994. Karl’s work remains very well known and respected. ‘Artificial Evolution for Computer Graphics’, given at SIGGRAPH 1991. 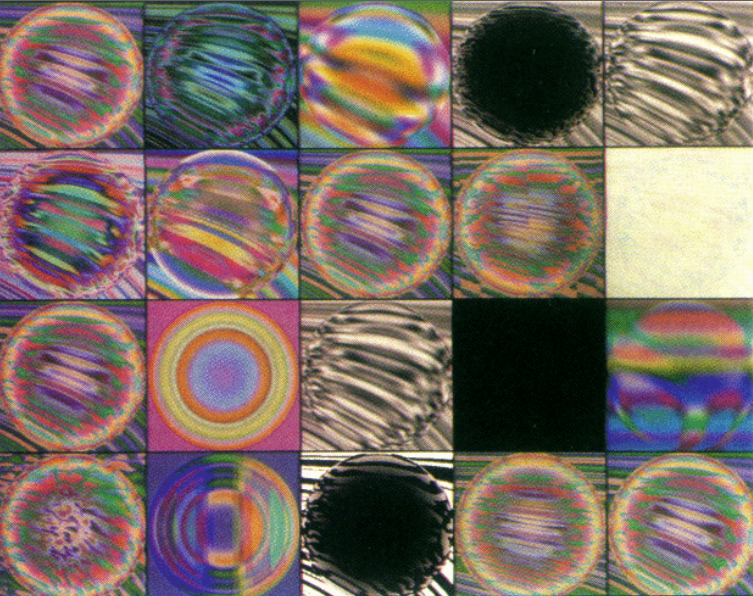 ‘Particle Animation and Rendering Using Data Parallel Computation’, given at SIGGRAPH 1990. ‘Evolving Virtual Creatures’, given at SIGGRAPH 1994.